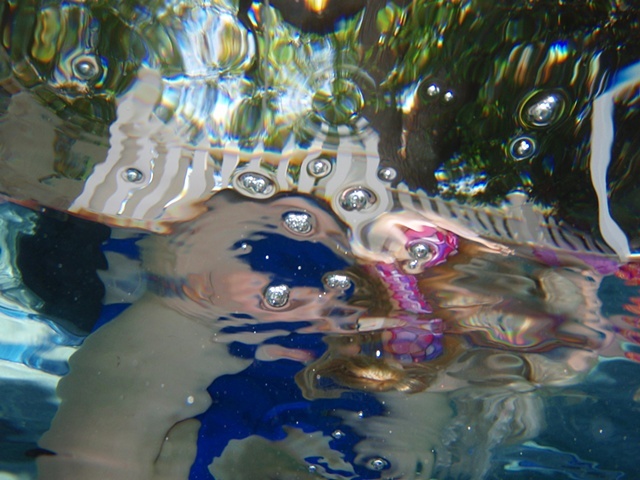 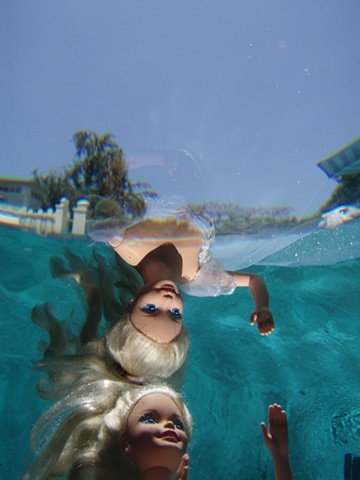 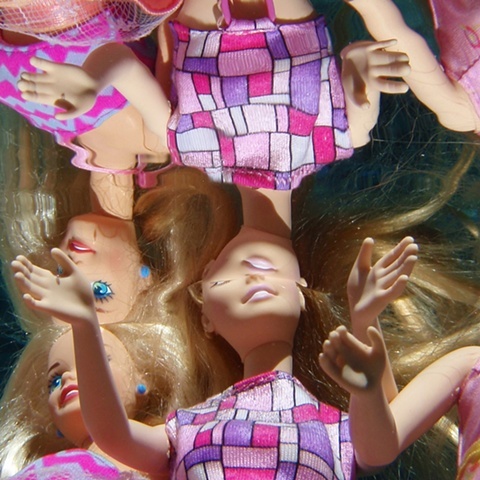 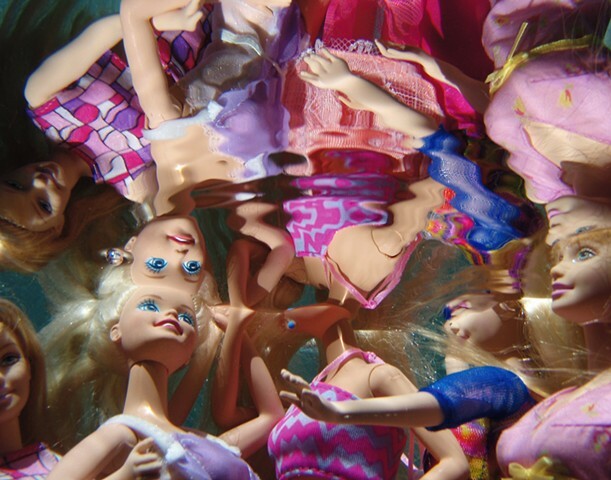 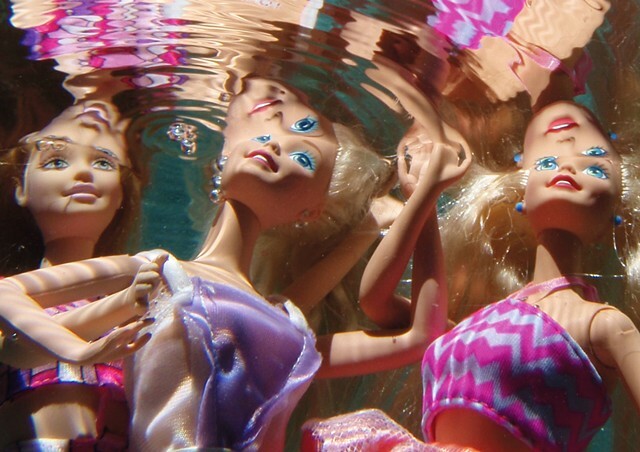 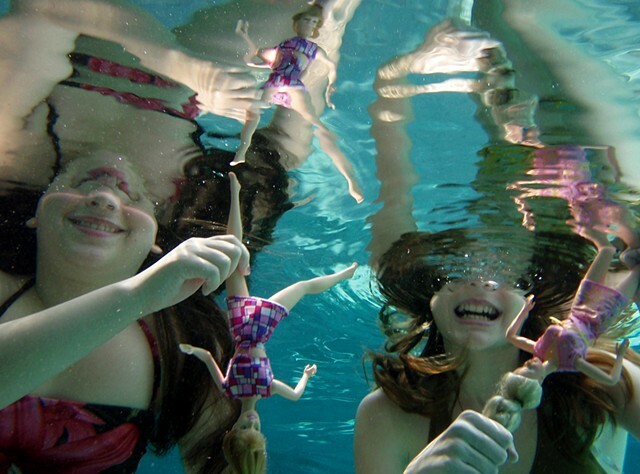 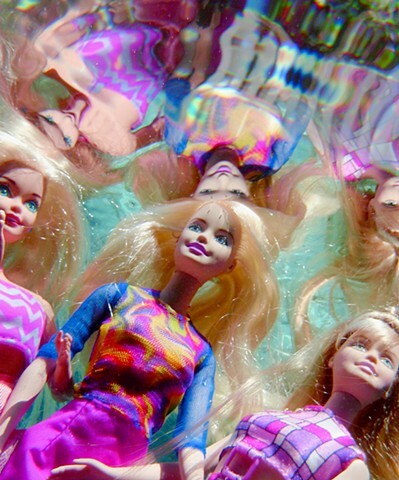 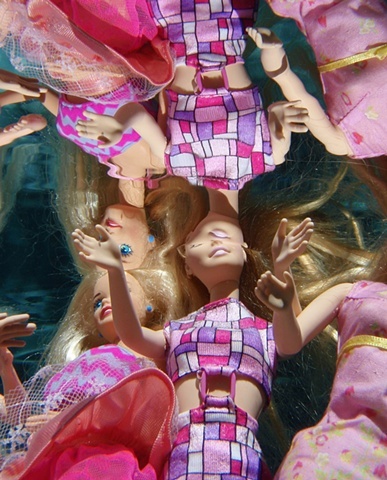 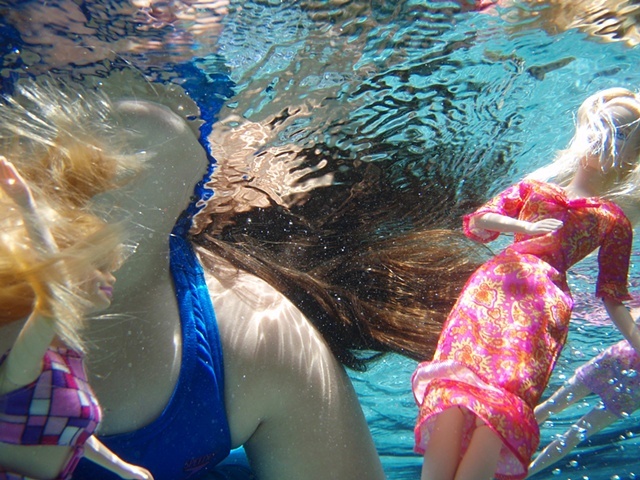 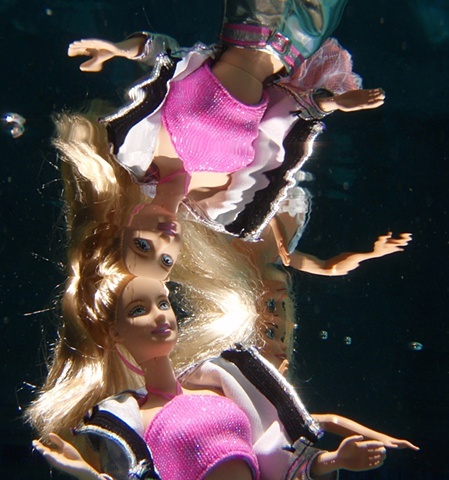 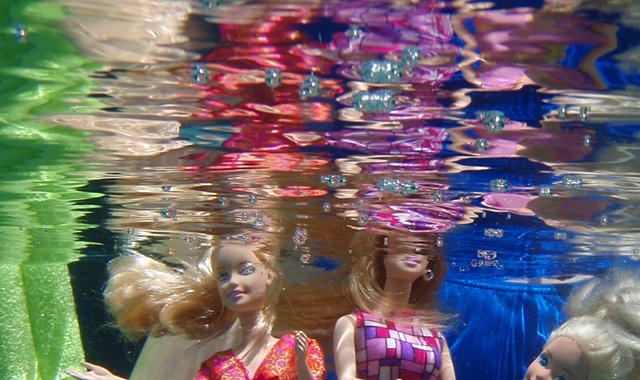 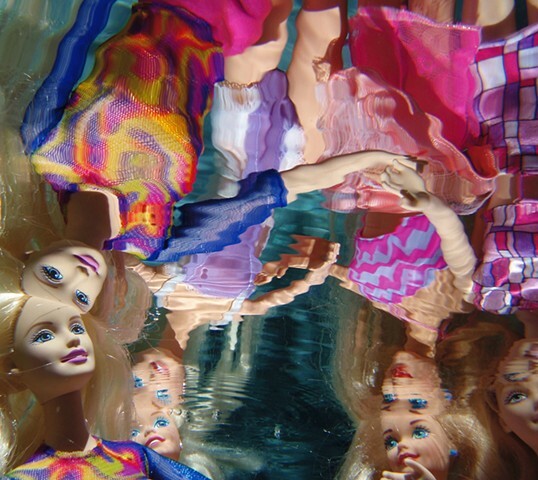 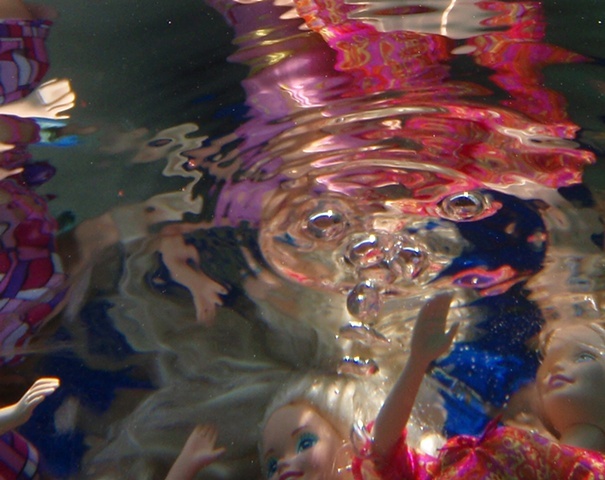 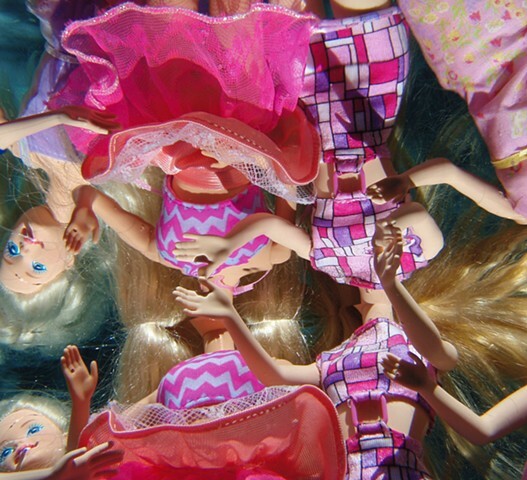 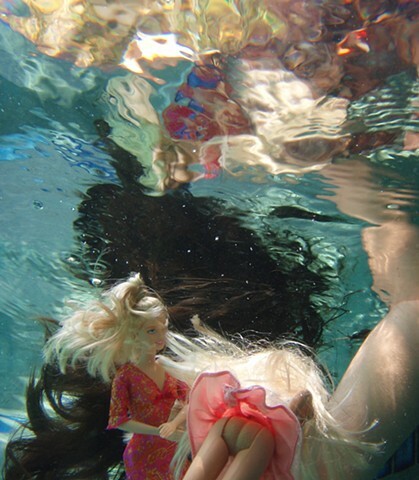 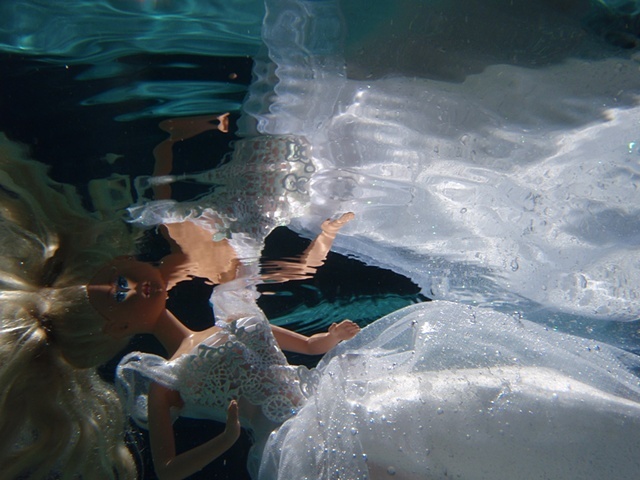 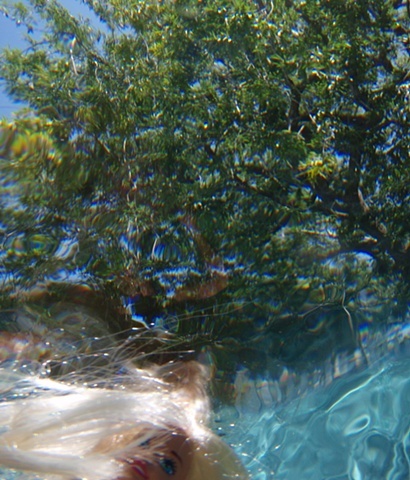 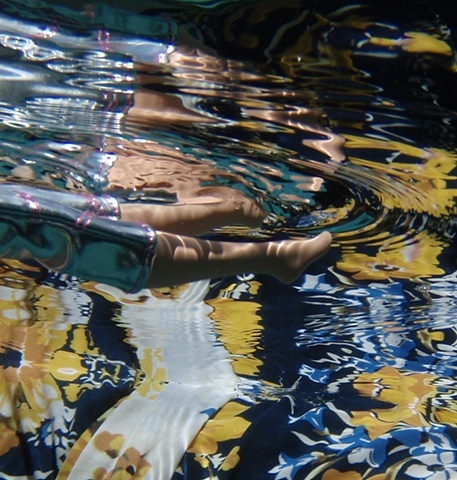 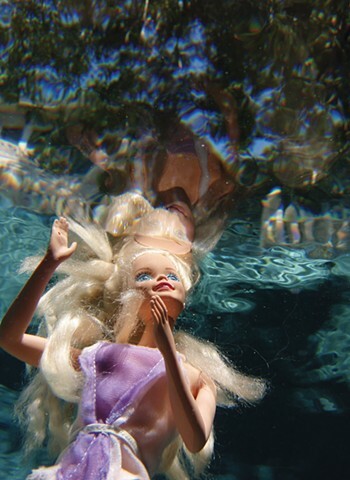 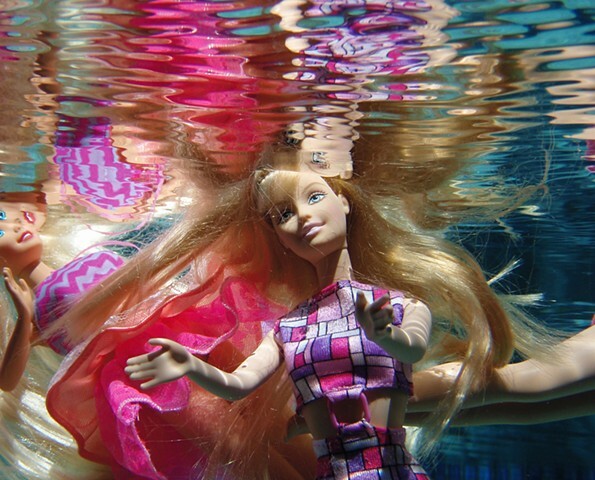 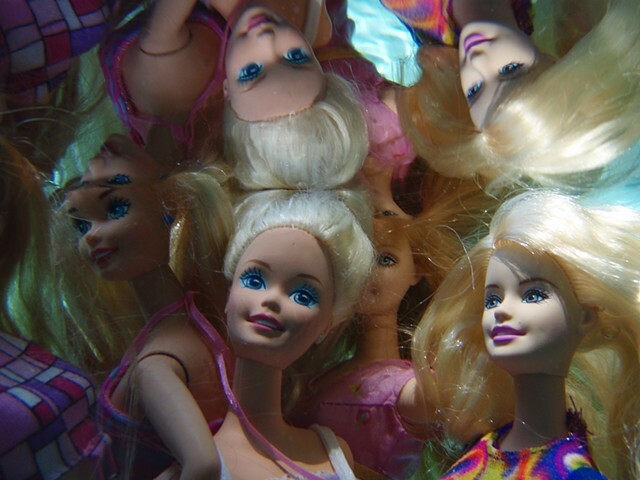 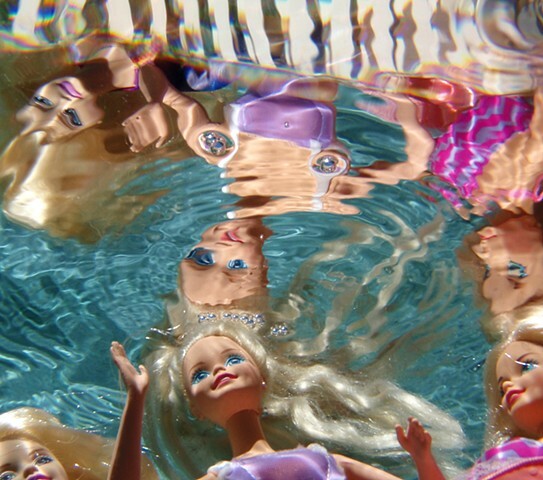 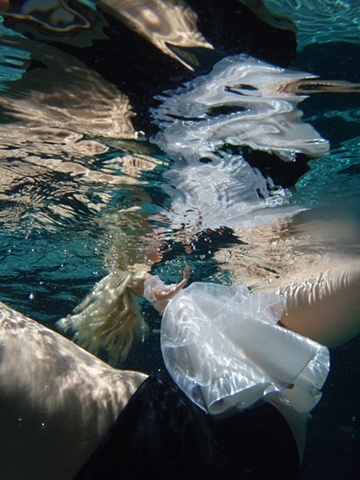 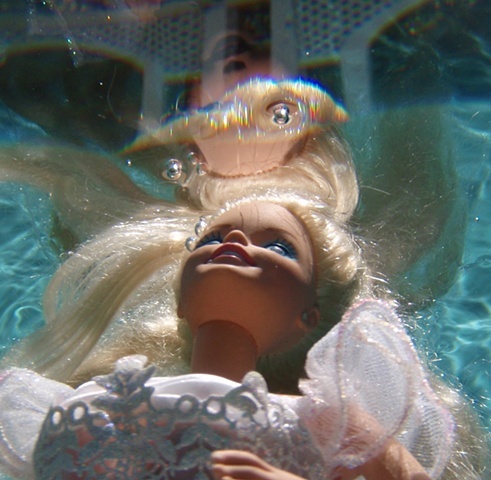 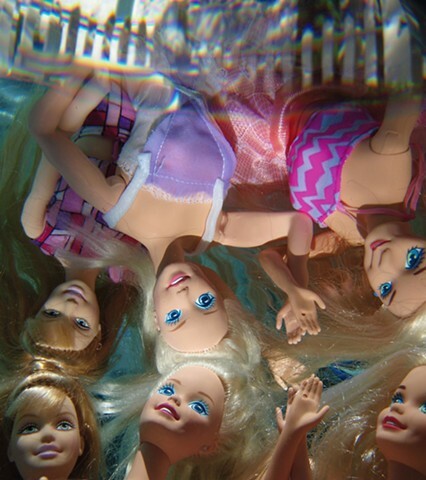 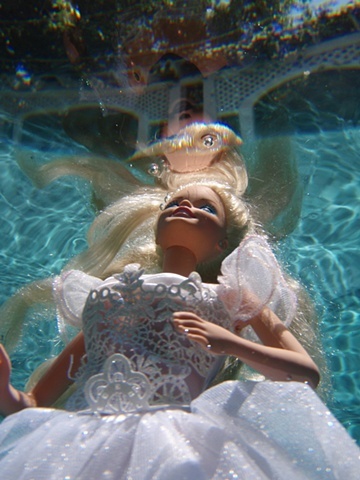 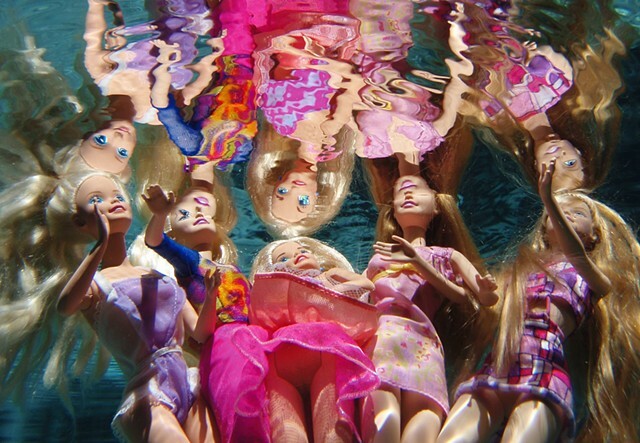 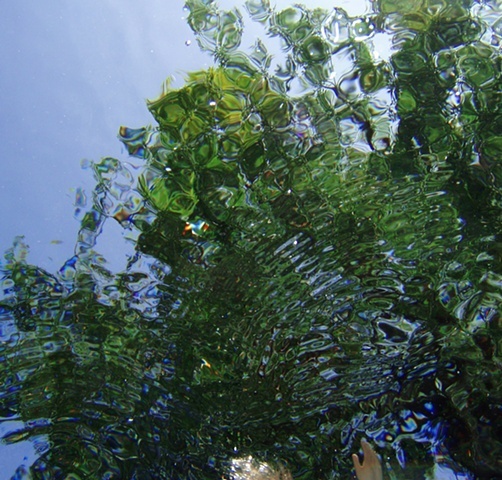 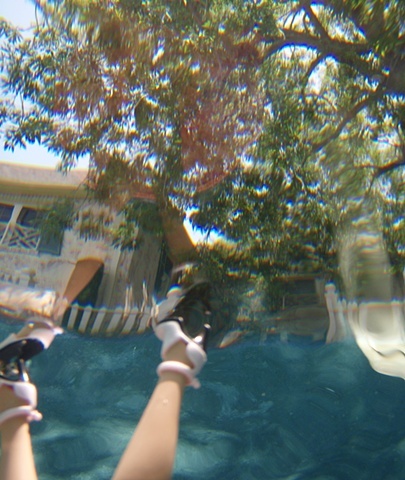 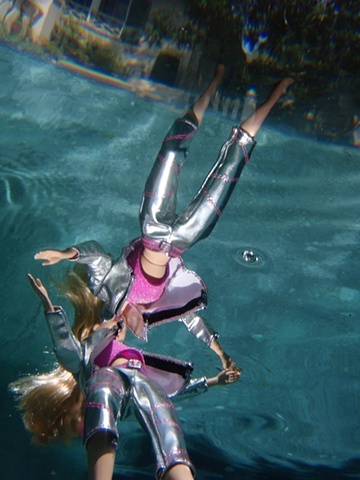 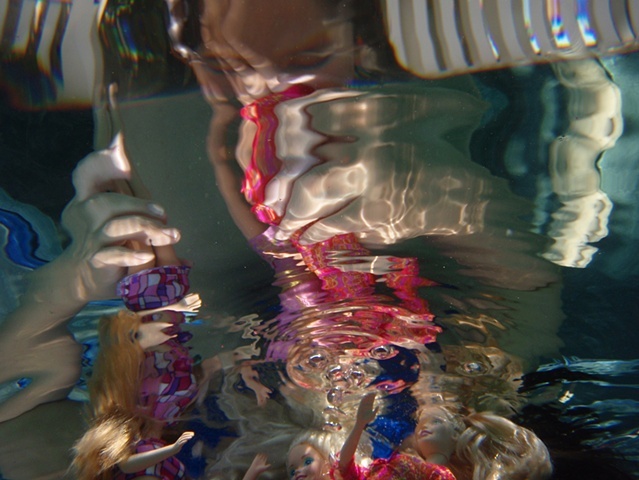 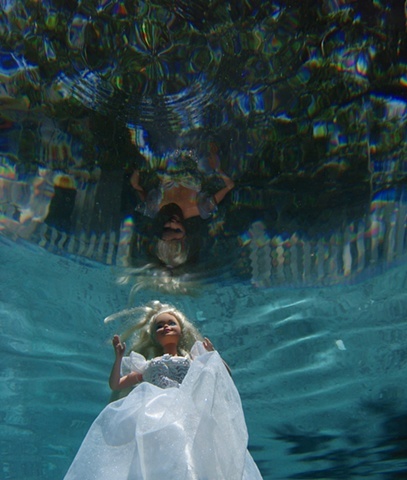 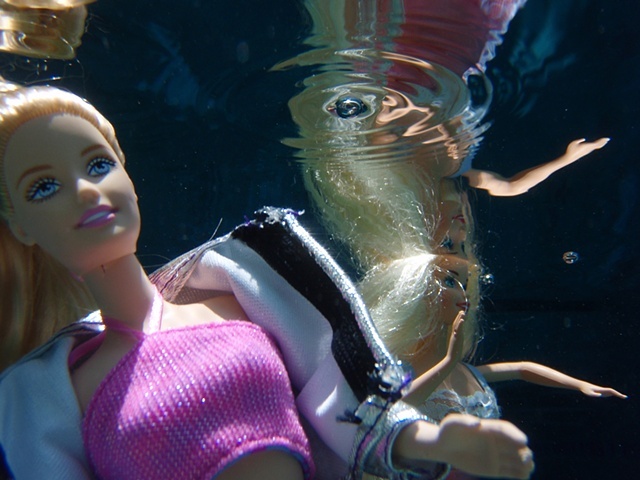 For these images, I submerged a Barbie doll(s) and myself in my backyard pool and then aimed my camera upwards towards the doll and the under-side of the pool's surface. 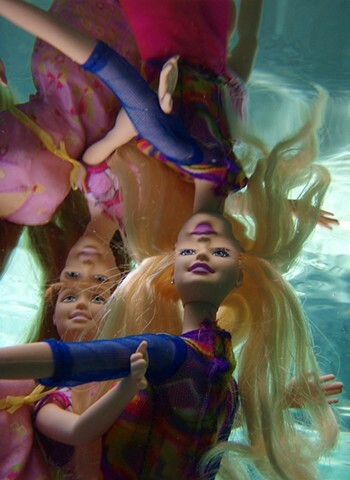 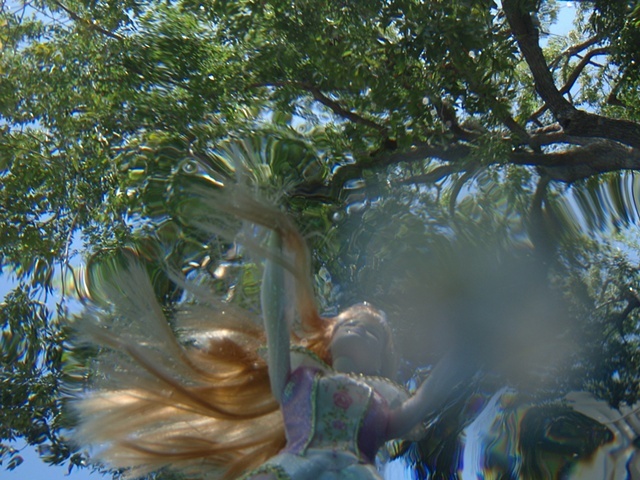 The resulting images of both doll and its distorted reflection pit what is “real” vs. what is "fake." 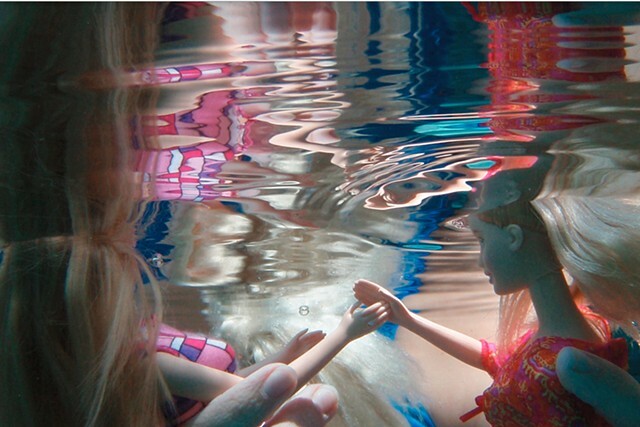 The reflections and the Barbie doll herself, both present a reality that is simultaneously distorted and representational. 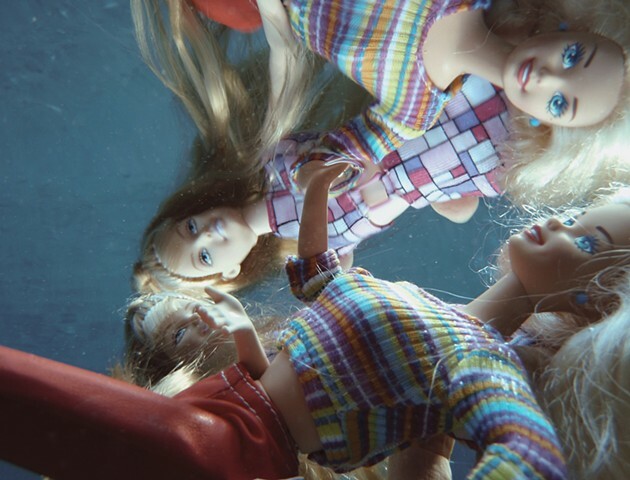 This overlap of tensions and contrasts allow the visceral and the intellectual to reinforce and reflect one another in continuing, mirroring dialogue that hopefully includes the concept of Barbie as societal ideal.